When a government that can control whether people live or die has it’s sight set on grander plans, no dissenters and a much larger empire, can a group of freedom fighters team up with the governments genetic killers to save the world? Civil war had gripped the country for sixty years. The only group that was able to stop the wars did so with sheer terror. Liberties stripped, freedoms destroyed, and loyalty was required. Although peace is in the land, even speaking out against the government can cost your life, and this government has plans to expand the empire. Can a group of freedom fights stand up to oppression and tyranny or will the government get their world empire? People cannot live without water, without air, without food. Go to long without one of the necessities and a person dies. In the new America, or U-Cam, going without a government supplied protein will cause horrible death. The government, ruled by a brutal man, Emperor Ross II and his Prime Minister Garret Boyd, always keeps a large supply of the protein on hand so none of their subjects have to die, unless they speak out against the empire. Emperor Ross II has assured loyalty to his empire by withholding the protein before, allowing thousands to die, and he has no qualms about doing it again. He only wants peace within the country while he spends his days in a drug-induced fog as he indulges in pleasures all day. If the fear of withholding the protein doesn’t keep the people in line, the fear of his Alpha Troops, genetically engineered killers, seven feet tall, arms and legs like tree trunks, intelligent and fearless, will. When a group of freedom fighters led by Two Doctors; Doctor Monte Prowl and Doctor Chas Kent, discover a way to defeat the Alpha troops, and where the location of the formula to manufacture the protein is, they launch a desperate attempt to free the country from the Ross Empire. With spies everywhere, and no way to trust anyone, the doctors must use their skills to fly under the radar to disrupt the emperor and his killers. 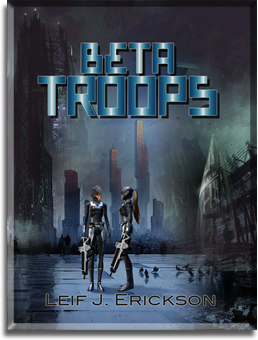 When the emperor catches wind that plots are against him, he unleashes the deadliest weapon yet, the new Beta Troops; genetic killers who are indestructible, super strong, fast, and smart, just like the Alpha Troops, but the difference is the Beta Troops look like a normal sized human, no way to tell them apart from anyone else. As Emperor Ross II seals off a city, ready to kill all the million inhabitants unless the rebels turn themselves over, can the doctors break the genetics to save humanity or will the empire continue its brutal ways?